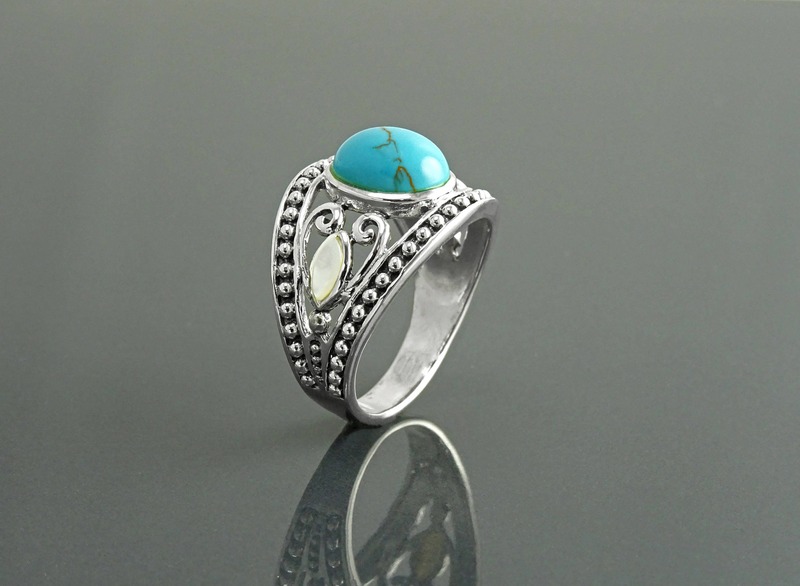 Simple and Chic in Design, this Sterling Silver ring is set with a Turquoise and two small Mother of Pearl on the side. 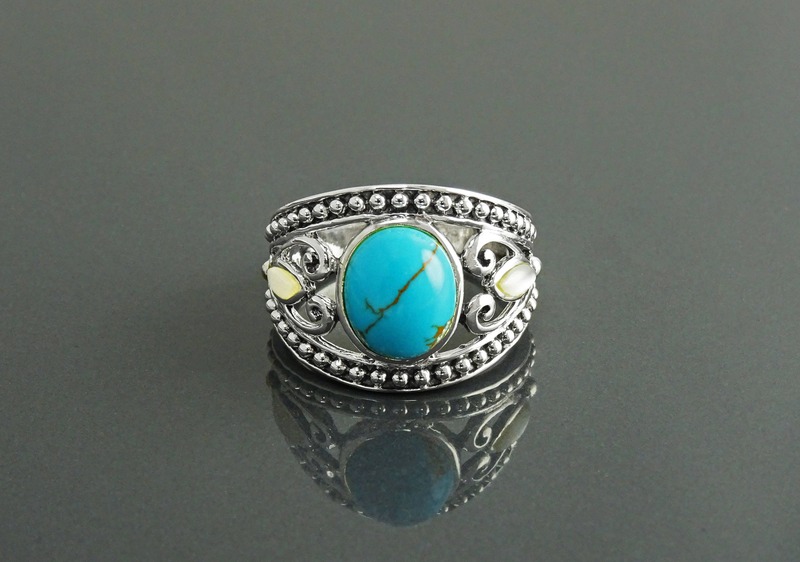 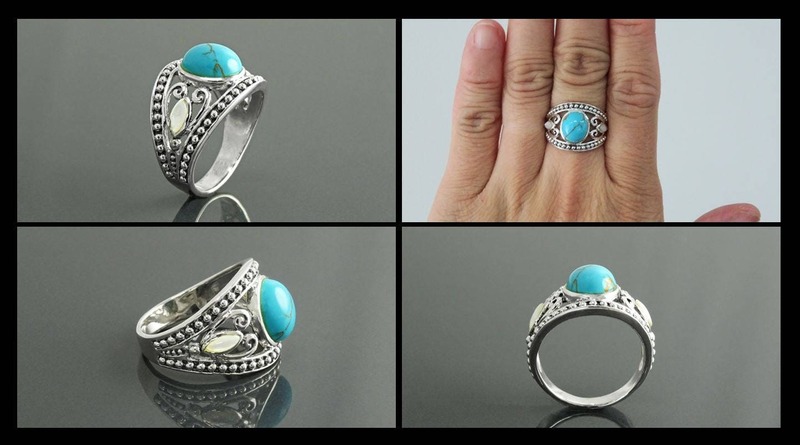 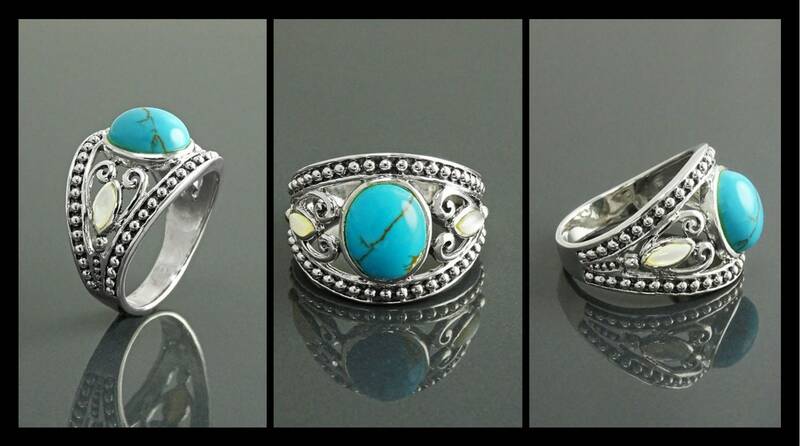 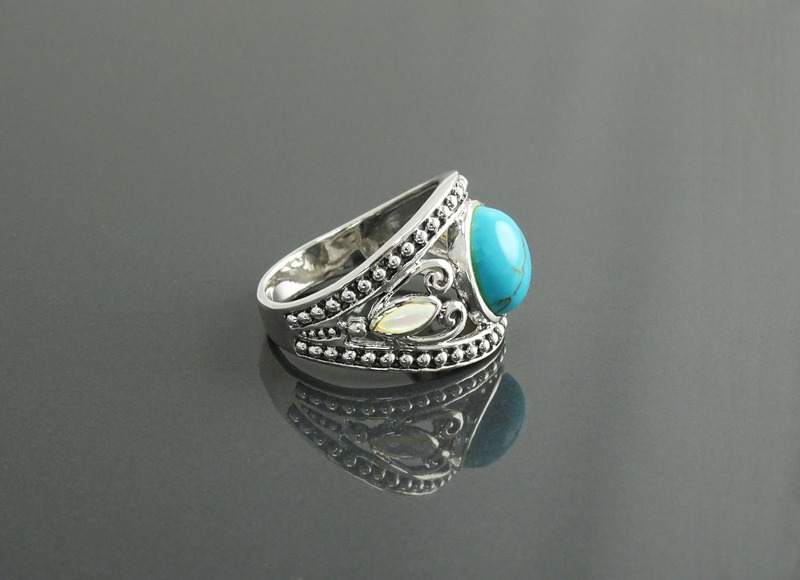 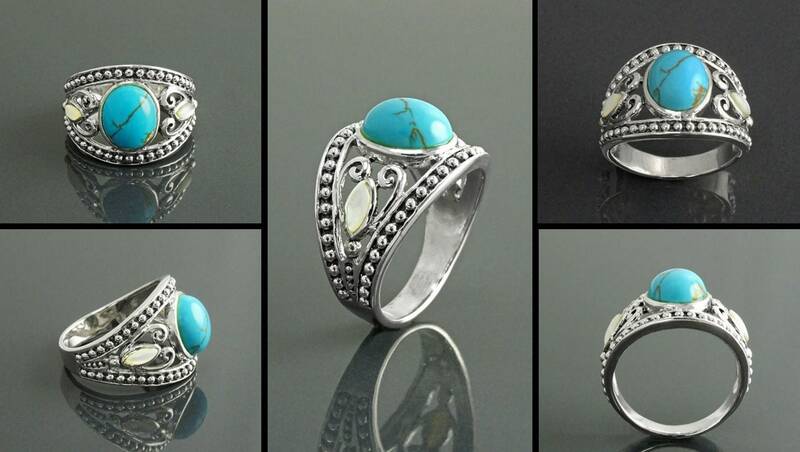 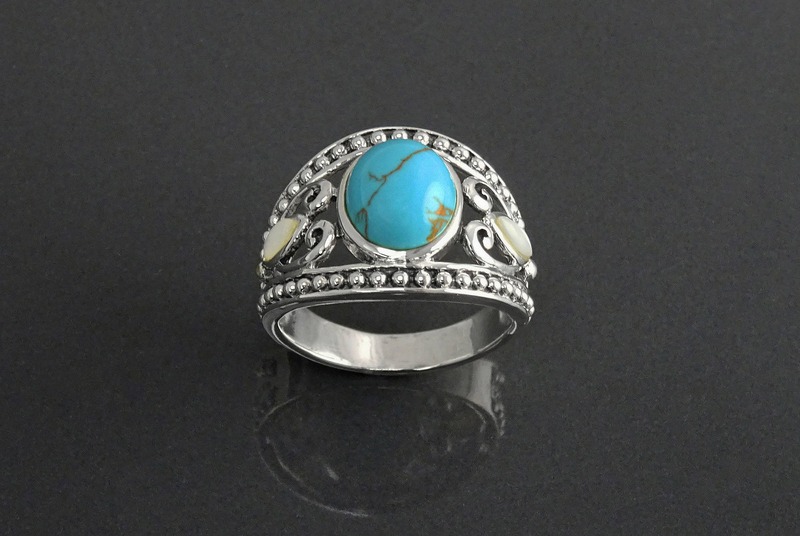 Ring features a 8 mm X 10 mm wide Turquoise. 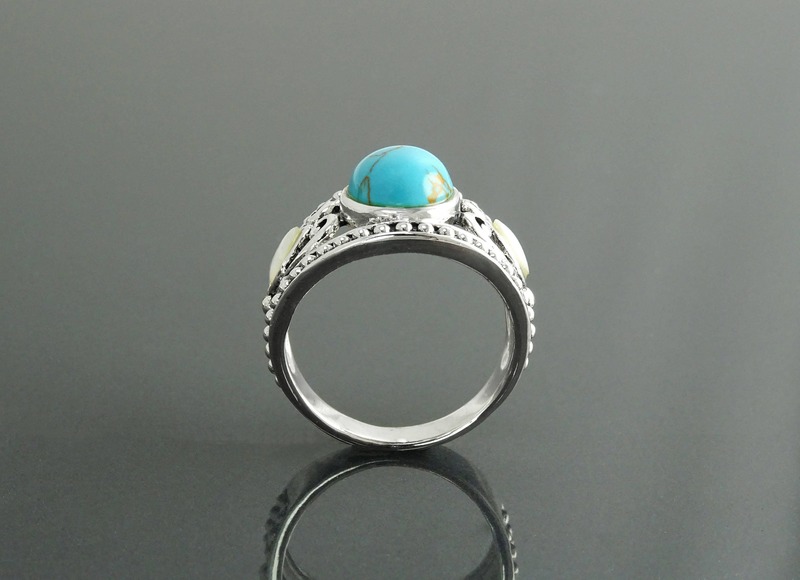 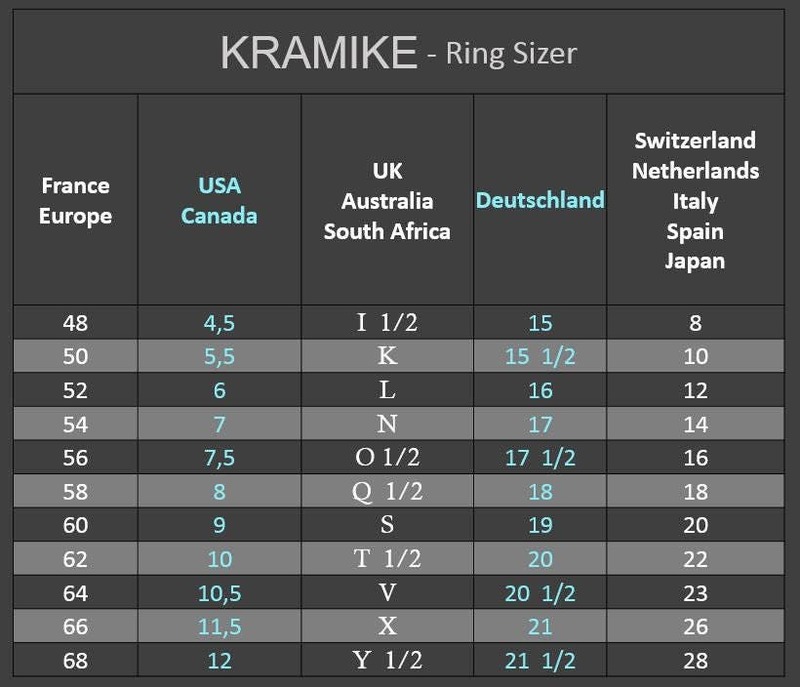 * Ring can also be done with Onyx . 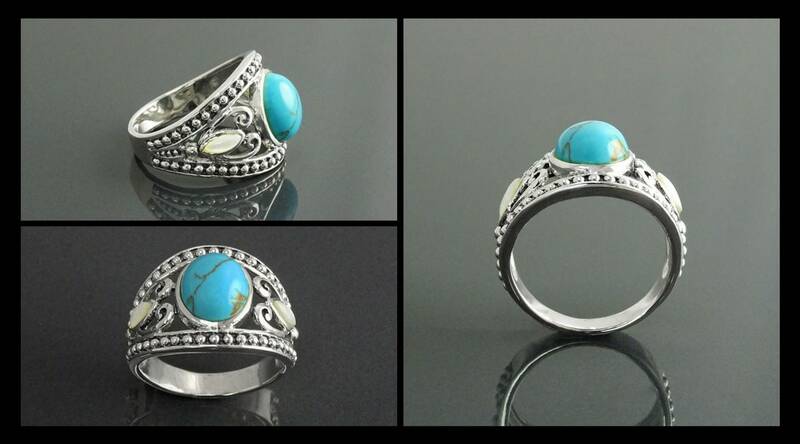 It got to its destination before Christmas and my gf loves it.